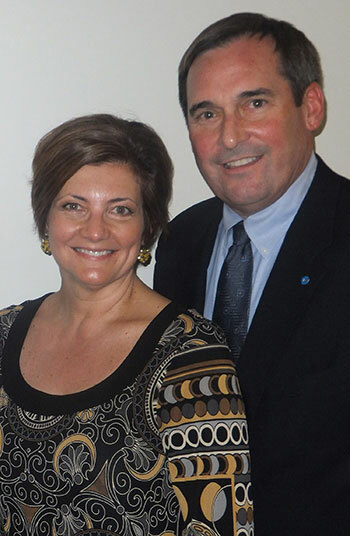 LSU Foundation members John L. and Debbie Daniel grew up in Baton Rouge. They first met and started dating when she was attending St. Joseph’s Academy and he was two years ahead of her in school a few blocks over at Catholic High School. Throughout their time at LSU, John worked in University College, while Debbie worked down the hall in the Athletic Department. At one point, John told her he wanted to wait until she graduated to get married; Debbie vowed to graduate in three years. John and Debbie have collectively earned three degrees at LSU. Debbie graduated from the College of Agriculture in 1978 and pursued a career as a nutritionist. She works for the Department of Education as an educational program consultant. John received his first bachelor’s degree in 1977 and his second in 1978, both business degrees preparing him for a career as a banker. He is a senior vice president with JP Morgan Chase in Baton Rouge. The medicine killed the cancer and shrunk it to an operable size. Surgeons at MD Anderson removed all of the cancer in 2011, leaving him healthier than ever before. The experience added both MD Anderson and Cancer Services to the long and ever-growing list of organizations the Daniels support and serve, which includes a wide range of art, children’s and educational programs throughout their hometown of Baton Rouge. The Daniels have been LSU Foundation members since 2008 and have continuously provided support to the school through the Forever LSU campaign, E. J. Ourso College of Business, University College and several other departments throughout campus.